Interesting look at healthy industries in the recession here. 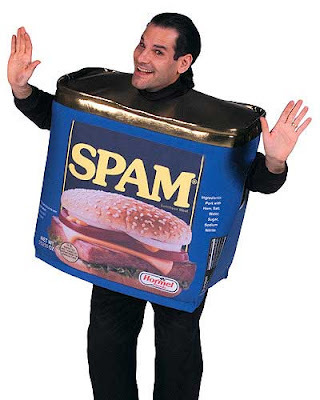 The Laid Off Loser Fortress of Solitude is well-stocked with chocolate and cheap wine, but not Spam. Though I appreciate the camp value of canned ham, I'm a vegetarian.